I have a confession. I didn’t always use a writer’s notebook, either as teacher and especially as a student. It’s hard to remember what that was like—Where did I keep all my thoughts? How did I keep track of it all? Writer’s notebooks—or journals—were something I remember learning about in graduate school, and while I tried a bit of it when I first started teaching, I quickly abandoned the practice in favor of the neat, clean handout I could create (and control). I think it was the open-endedness of the writer’s notebook that intimidated me: What prompts would I use? How would I know what prompts would work? And for what texts? Do I even have time for this? Fast forward 15+ years, and I can’t imagine teaching without a writer’s notebook. That is not to say that I use them in all my classes. I’m still working on using them more deliberately and consistently in my literature-based courses. But writing? How do you teach writing without a writer’s notebook? I can’t imagine. Instead, I’ve learned to embrace and celebrate the opportunity that writer’s notebooks offer. My own notebooks have changed over the years, too, as I moved from small, lined notebooks to bigger, unlined versions (my current notebook, and so far my favorite, is a Moleskine with dotted pages—dotted pages!). I used to worry that every notebook prompt had to tie in with what we were reading or currently writing. While that’s still true most of the time, I’ve also found that sometimes a good notebook prompt doesn’t just reflect what’s in the curriculum, but also opens the way to new thinking and reflection, which then leads to new reading and writing. A good notebook prompt is generative. So in no particular order, I thought I’d share three of my favorite writer’s notebook prompts from this year (so far). If students get anything from maintaining a writer’s notebook, I hope it’s the practice of self-reflection. This notebook prompt gets students thinking about who they were in the past, but more importantly, what that might say about themselves now. Think back to your 5-year-old self, kindergarten or thereabouts. Knowing what you know now, what advice or wisdom could you offer to that 5-year-old version of you? Write a letter to your 5-year-old self. Repeat for age 10. Repeat for age 14. I love this prompt for a few reasons. First, it forces students to reflect on who they were at various points in their lives. Who we are is ever-changing, and rather than give into the change passively, taking the time reflect on how we’ve changed—whether it’s our hopes, our fears, or our musical tastes—forces us to be honest about those changes, and whether those changes were positive. When we ask students to think about their 5-, 10-, or 14-year-old selves, we’re also acknowledging that inherent complexity, even multiplicity, of identity. Finally, I love this prompt because it honors students’ wisdom. Too often, we look to those older than ourselves for guidance, we privilege those with more experience. But experience is relative, and we might overlook or underestimate the wisdom that many students already have. By asking students to write a letter to their younger selves, it honors the wisdom they have gained even in their relatively brief lives. It’s not been brief to them. Students could polish and turn into a longer piece. Students could also partner with elementary and middle schools to send their letters to students in those grades. Students could use this prompt just before reading any coming-of-age novel. Students can connect this to the Notice & Note signpost, Words of the Wiser, and look for similar connections in their literature study. Students could turn this “letter to self” into a commencement speech. Every year, one of the first things I try to do with the writer’s notebook is to pack it with lists. I ask students to list everything: favorite foods, favorite books, favorite movies, classes, place to go, etc. There is no list that is too mundane or too obscure. 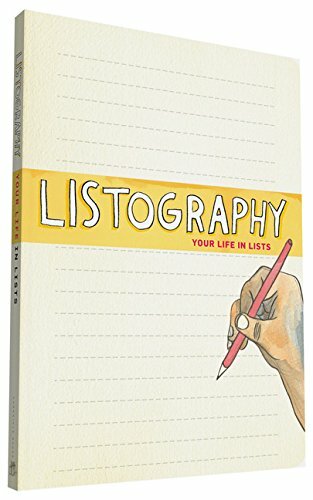 There’s no shortage of inspiration, but the Listography series has become my go-to resource for “list” prompts. One of these lists is “prized possessions.” While that’s nothing new—isn’t a Christmas list a type of “prized possessions” list?—what I try to do with this list is ask students to dig deeper into why it’s important to them. Review your list of prized possessions. Choose one and place it in the center of your page. Take a few moments to create a mind map of connected experiences. In other words: when you think of this possession, what memories or experiences come to mind? Connect as many as you can by broadening your mind map. Now review the memories and experiences you’ve connected. Which stand out to you? Mark those. Now think about what abstract word(s)—what ideas or emotions—are connected to that experience for you? Make those connections by again broadening your mind map. By using a structured mind map, students can better understand how to connect the concrete to the abstract. What I want students to uncover in this exercise is why something is important to them. In most cases, it’s not about the object, per se, but about what the object represents. And what that represents is grounded in their experiences. In years past, whenever I’ve had students share a prized possession, their reflection on its significance has been largely superficial. They discuss its physical features and they might tell a story of how they got it, but they fall just short of why it really matters and more importantly, what it says about them. When I do this exercise with students, I use my camera as my prized possession. My camera is a Nikon D700, a full-frame DSLR. When I think about this camera, I remember all the pictures I’ve taken with it, and the first pictures that come to mind are my favorites. Now I start to connect specific memories to my camera (and I build out my mind map). As I review these memories, I realize my favorites are all the ones that have to do with not only my children, but of everyday moments with them: the chubby fingers my youngest used to grip his sippy cup, the picture of the boys playing Legos on a surprise snow day, the way my son’s lips pursed when he made choo-choo-choo and whooosh sounds with his action figures. Now I realize that it’s not about the camera, but about the small moments I’ve had with the boys, watching them grow up, documenting the mundane. And really, if I dig a little deeper, I guess it’s really about my own fear as their mother—fear of their growing up. I don’t want them to grow up. By asking students to “build out” their thinking in a mind map, they can better understand the layers of complexity. As with all notebook entries, students could polish and turn into a longer narrative. Students could create an infographic version of their prized possessions list, while still trying to capture that “abstract” (why it’s important) component. Students can also create a mind map for an important symbol in a text, building it out in the same way. My students, like us, are often pushed and stressed to near breaking points. I see it in their faces when they’ve just had a huge math test or the groans when I assign yet another reading. Yes, they’re teenagers who might be prone to angst, but I can empathize with them. High school isn’t what it used to be. 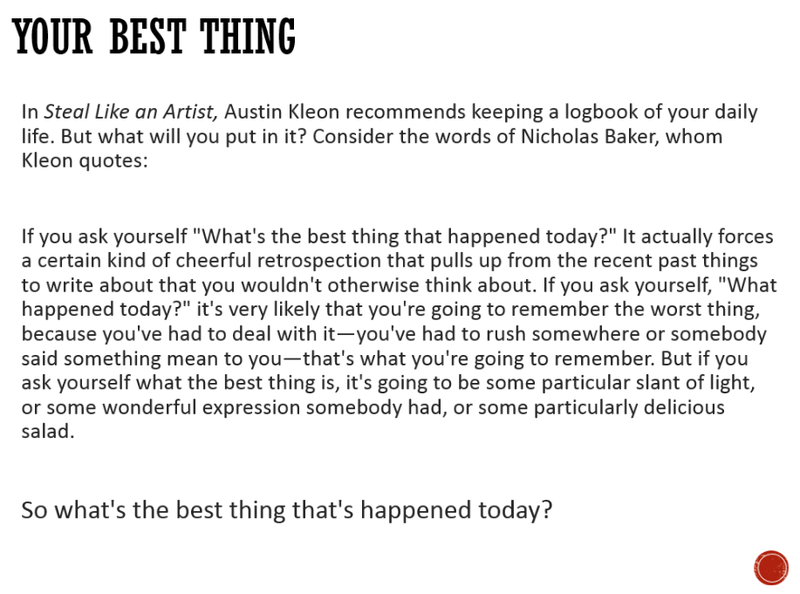 I stole this prompt from Steal Like an Artist by Austin Kleon, and for me, this prompt is less about the specific writing it directly produces as it is about the thinking—and attitude—that comes out of it. When I first introduce this prompt, some students struggle a little bit. They can appreciate what Baker has to say about how we often think of the worst things that happened to us first, often forgetting the things that made the day a little bit better. I think we can all agree that adolescents seem particularly susceptible to this type of negative thinking (perhaps this is why as a teenager, the worst question my parents could ask me after school was How was your day? ), but they don’t have to be. When I use this prompt, I use it every day for a week, sometimes two, and then I revisit throughout the rest of the year. Many students actually tell me that they find themselves thinking about what they’ll write for their “best thing” notebook entry before they get to class. Once students begin the habit of seeing “the best thing” instead of the worst, they feel their spirits lift a little bit, they feel more grateful—and I think we could all benefit from feeling a little more gratitude in our lives. Again, a longer, more polished piece. Start a #bestthing movement by posting Tumblr-esque images throughout school/social media (Canva and Adobe Spark would be perfect tools for this project). Apply to a character analysis: what’s the best thing in this character’s life right now? I hope you find some of these prompts useful! What do you think? Questions? 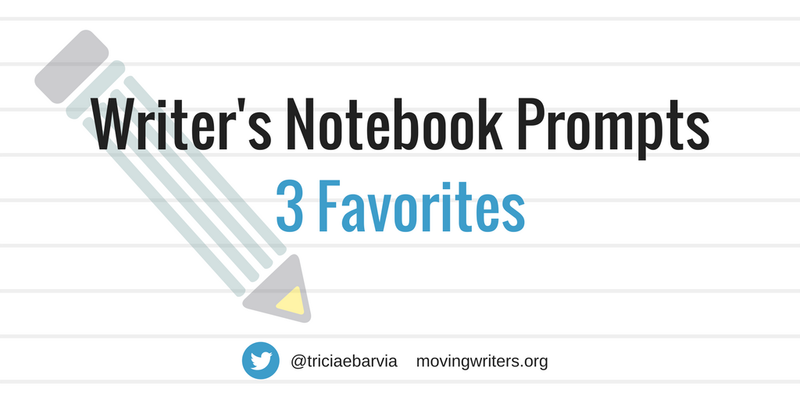 Do you have any favorite writer’s notebook prompts? Please share! Thank you for your thoughtful blog posts. Not only are they relevant, but you add other ways to engage the students outside the freewrites that go above and beyond a longer piece of writing. Tricia, this post makes me lament that I’m no longer in the high school classroom. 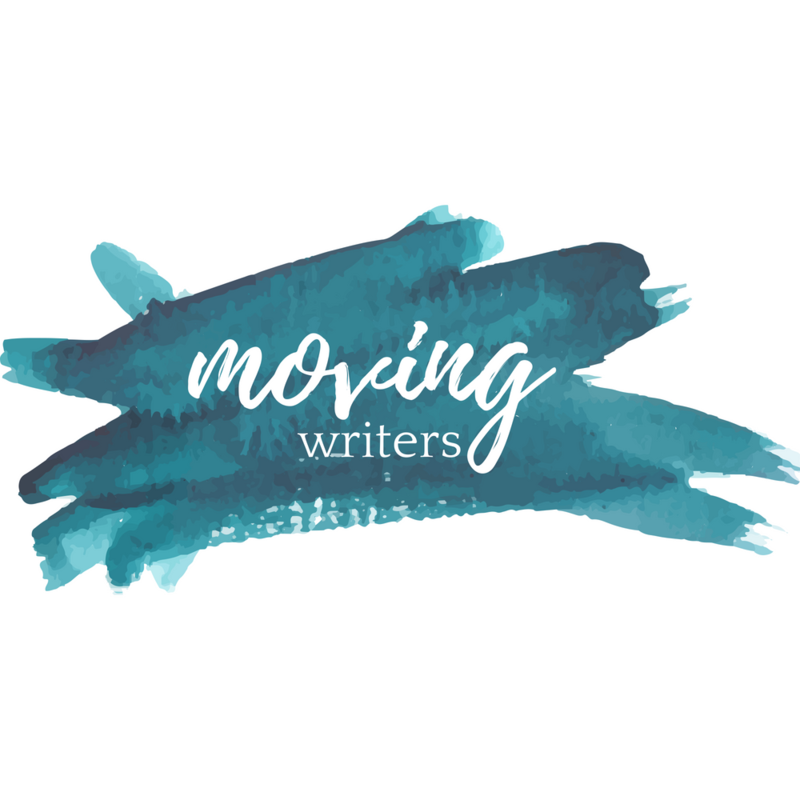 You gave me so many wonderful ideas for not just quickwrites, but larger themes or products that could be inspired by those ideas.